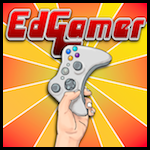 Zack Gilbert, 6th grade teacher and gaming enthusiast, is the host of the EdGamer Podcast, the longest running podcast dedicated to Games and Learning. Since 2011, Gilbert has interviewed some of the biggest luminaries in game-based learning and has contributed significantly to the conversation about games in education. We reached out to Zack to learn more about his philosophy on what makes a good learning game in the classroom and his advice to other educators on how to get excited about games. Tell us a little about yourself. What do you do as a profession and what led you to becoming EdGamer? I am currently teaching 6th grade social studies and language arts at Parkside Junior High School in Normal, IL. I am a technology coach and an advocate for educational technology in central Illinois. I graduated from Eastern Illinois University with a B.A. in History with a secondary teacher certificate and have an M.S. in Instructional Technology and Design from Illinois State University. My master’s research looked at the impact of educational games and how the knowledge gained through these games is stored into long term memory. In 2010, I joined a group of educators who were reviewing apps for phones and determining how they could be used in the classroom. IEAR hosted podcasts and I joined in on some of their shows. The EdReach Network was created out of IEAR and I was asked to create a Games and Learning podcast. The leaders of EdReach knew I had a love for using games in the classroom, they found an amazing co-host (Gerry James) and we created the show EdGamer. We are on a hiatus at this time with plans to restart summer of 2016. As the longest running podcast dedicated to games and learning, we have more than 150 episodes and have been around for 5 years. Since 2011, I have interviewed leaders in the games and learning field which include Dr. James Paul Gee, Lucien Vattel, Joel Levin, Lucas Gillispie, John Hunter, and many more. Why did you start a blog? What’s the story behind EdGamer.net? I started EdGamer.net as a way to share resources and information on how games can be used for learning. To be honest, I have been selfish about the topics of discussion. If I am going to spend time writing and creating a blog or podcast, I would like to use topics that interest me, that can benefit my development as a teacher, and topics that can help my students. I am lucky that there are other people out there that have similar interests and enjoy the discussions we have on our show. What specifically drew you into games? Do you still play games? I grew up at the dawn of digital games. Atari, Commodore 64, and computers helped bring games into my life. I also played tabletop games like Axis and Allies, Harpoon, and Dungeons and Dragons. These interests led to my group of friends who I still meet with to play games to this date. Tabletop games I am playing now include Superfight and Splendor. I also play iOS tabletop ported apps such as Ascension, Small World, and Galaxy Trucker. As for digital games I play now, I am totally engrossed in World of Warships. When did you first start using games in your classroom? Why do you use them? I started teaching in 1995 and used classroom simulations from the beginning. Around 2005 I started using historical games from the BBC and I started playing a commercial video game, Sid Meier’s Civilization IV. Civilization IV changed my life and changed my educational philosophy. I played this game and realized that what was happening in the game explains the foundations of what I teach in my 6th grade ancient civilizations class. This connection inspired me to make my master’s project about games and learning. As part of this project, I connected Civilization IV to the Illinois Social Studies Standards. The four themes I applied from the game are culture, civics, people, and geography. The goals and assessments in my social studies classes, for all my units, use these themes. Civilization IV is a commercial game. Do you only use commercial games, designated learning games, or both? I use both, but I would have to say that a majority of the best games used in the classroom are made as a commercial game and not specifically made for educational purposes. There are a small group of educational game developers that are successful and I consider Filament Games as part of this group. I use the best tool for the job – sometimes that tool is a game and sometimes it is not. Commercial games are made for entertainment and that is why they are normally better for use in the classroom. Students can see through most educational games because most of them are made for learning purposes and not entertainment. So, how do you decide what commercial games to use? The commercial games I use are games that I have played and then realized that students could learn from the experience. So it sounds like vetting games first is an important factor when adding them to your curriculum. What other advice would you give to a teacher who’s interested in using games in the classroom? There are many resources teachers can read through and several videos that make the argument that bringing games (Playful Learning) to the classroom is an effective way to learn. We learn best through play! What’s great about using games in the classroom with students? When implemented properly, the students can learn through play. Even better, most of the time the students are learning and they don’t realize they are learning. Games are interactive, challenging, individualized, collaborative, emotional, and exciting. A good game will bring students back for more, it will have them use their time outside of the class to plan, and what is learned is well-remembered because of the experience games bring to the user. Your school district recently decided to implement Filament Games’ learning game titles and curriculum. Are you excited about using them? Why? I am very excited to use these titles because Filament Games is a rare developer that understands that games need to be a high-quality, entertaining experiences in order to gain student buy-in. Filament Games is able to balance entertainment and education. They have proven this for many years. How does curriculum play a role in using games in the classroom? Curriculum and learning goals are essential to every teacher. You should always start with the end in mind. Once you know your learning targets, the next step is finding ways to reach these goals through the tools you have as a teacher. As an educator, games and simulations are part of my toolbelt. Games are a great tool, but not always the best tool for all students. Some courses lend themselves to games better than others. It can be a challenge to find the right tool for the job. Okay, bonus question. If you could play or make a game about anything, what would it be? I have a few games that I have created in my head that would be wonderful to play or create. I love the virtual worlds of Ready Player One and the holodecks within the Star Trek universe. Creating interactive worlds for experiential learning would be a dream. Could you imagine being part of a virtual world imagined by Tolkien? Even better, you could take it a step further and students could learn through creating these worlds or the worlds of their imagination.